5:30 AM – Snana of the Pithasthana. 6:00 AM – Nitya puja. 8:00 AM – Temple door open for devotees. 1:00 PM – Temple door closed for cooked offerings to the goddess followed by distribution among the devotees. 2:30 PM – Temple door reopens for the devotees. 5:30 PM – Aarati of Goddess, closing the temple door for the day. Kamakhya Temple is situated on a hill called, Nilachal, near Gauhati, Assam. 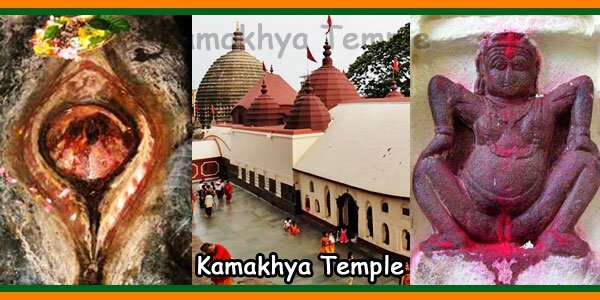 Kamakhya Temple is one of the seven important Shakti peethas described in Kalika purana. The Kamakhya temple is dedicated to the Tantric goddesses. 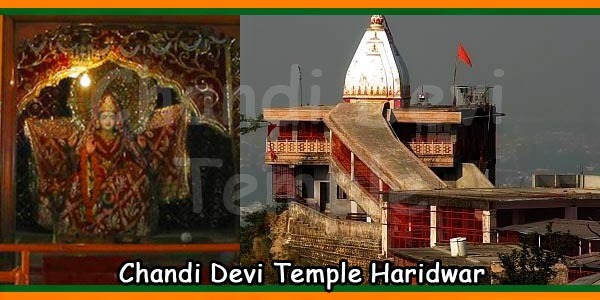 In addition to the deity Kamakhya Devi, the temple contains other Kali avatars: Dhumavati, Matangi, Bagola, Tara, Kamala, Bhairavi, Chinnamasta, Bhuvaneshwari and Tripuara Sundari. The main temple has seven Sikharas in the shape of a hive of bees, each crowned with a golden Trishula. The temple consists of three main chambers. The western chamber is large and rectangular with an idol of Naga Matha and is not used by general pilgrims for worship. 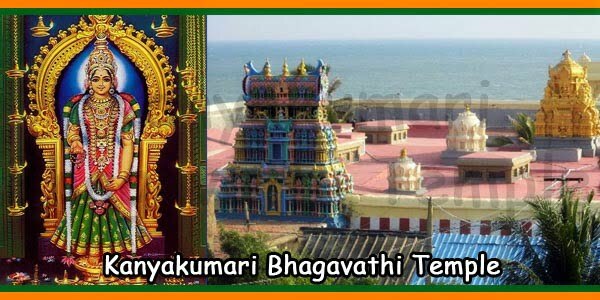 There is an idol of Chamundeswari south of this room. The central chamber is a square, with a small idol of the Goddess. All Kamakhya and Umananda decoration and routine pujas are made here. Take the garbha griha of the temple in the form of a cave, which has no image, but a small natural underground spring. Spring emanates from a crack in a big rock that symbolizes Yoni. Although the temple is aligned with the east like most Hindu temples, the worship of Yoni is done looking north. Idols of Ganesha, Vishwa karma are also present in the premises of this temple. 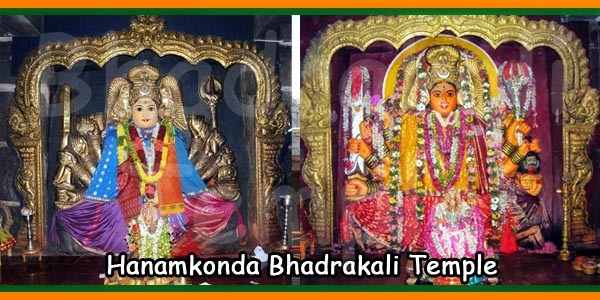 The temples of all Dasa Maha Vidyas (Kali, Tara, Bhuvaneshwari, Tripura Sundari, Bhairavi, Chinnamastha, Dhumavathi, Bagala, Mathangi, Kamala) are present here in the Nilachal. The temples of Kala Bhairava, Ghanta karna are also present here. Monkeys, turtles and a large number of pigeons live in the temple suggesting Kamakhya is the mother of all. Lord Brahma has created the whole world. After the creation, he became proud and considered himself the supreme creative force. Jaganmata Mahakali noticed this. She decided to teach Lord Brahma a lesson and created a demon called Kesi. From birth, the demon ran to Brahma to swallow him. Brahma was scared. He went to Lord Maha Vishnu and asks to save him from the demon. The demon built a city called Kesipure, and began to harass the world. Sri Vishnu told Lord Brahma to worship Mahakali. Brahma realized his mistake and worship Mahakali. The Goddess satisfies and burns the demon to ash by Hum kara. She told Brahma that he should create a hill of Kesi ashes, with edible grass for cattles, and sin would be reduced in proportion to the grasses grazed by cattles. She created Yoni’s circle of her own creative strength and told Brahma to worship. But, Brahma could not see it because of his sin. He made a big Tapasya and a luminous light came down from the sky and placed it in Yoni’s circle created by the Goddess. 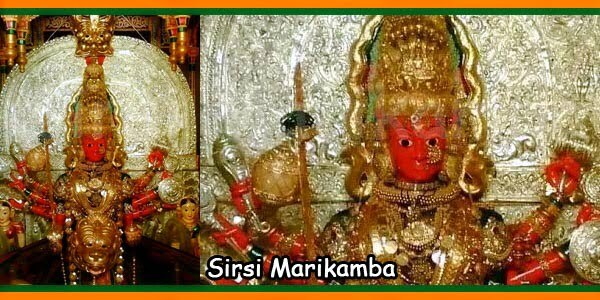 Then, later, all the gods worship Jaganmata (Kamakhya Mahakali). The god of love, Kamadeva had lost his manhood because of a curse. He sought Shakti’s uterus and was released from the curse. It was here that “love” was won and, as a result, the deity “Kamakhya” was installed and worshiped here. 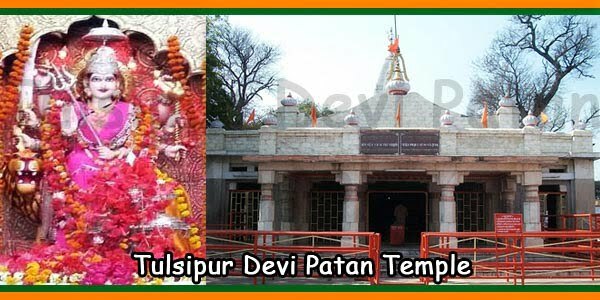 Some people also believe that the Kamakhya Devi temple is a place where Shiva and devi Sati had their romantic encounters. As the Sanskrit word for making love is “kama”, the place was called Kamakhya. 1) Ambuvachi (Ambubasi/Ameti): The Goddess under goes menstrual period from Sapthami in the month of Ashadha for 3 days (ie June 23-25). The water of the natural source becomes red, called menstrual fluid. The Yoni Shila will be covered with a cloth and the temple will be closed during these three days. It is believed to be unfavorable for the soil or to plant seeds during this period. On the fourth day the temple doors are opened and a big festival is celebrated. Sindhur and parts of the cloth are considered blessings of the goddess and are used in the Tantrik pujas. 2) Navaratri: Navaratri is a famous festival will is celebrated in Ashviyja month. 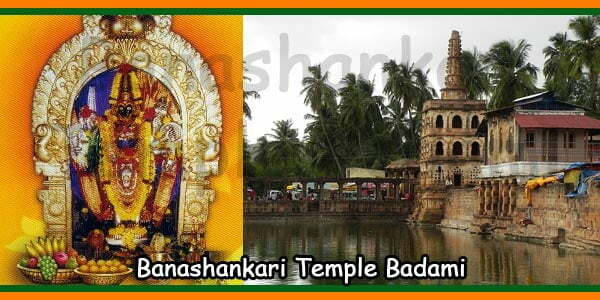 3) Deva Dhvani (Debaddhani): Deva Dhvani or Debaddhani festival is celebrated for Manasa Devi during the months of Jyeshtha, Ashadha, Sravana and Bhadrapada, and also during periods of plague and illness. The name of this festival comes from the extraordinary sound produced by the instruments, such as Drum, Dhole, etc. By Bus: The Nearest Bus stands is Nilachal, Gauhati. By Train: Nearest Railway stations are Nilachal, Gauhati. By Air: Nearest Airport is Lokpriya Gopinath Bordoloi International Airport, Borjhar at Gauhati which is 18 km to the temple. A visitor can receive the Prasad after 2:30 PM from the kamakhya temple premises that are provided without an exchange of money. Prasad can also be bought from the local shops that are present close to the shrine. Sweets in the form of peda and burfi are mainly made from sugar and powdered milk. Phone Number: 0361 273 4624.